As Europe's largest independently-owned, family-run car company, Arnold Clark offers customers quality used car deals in Ashton-in-Makerfield at the lowest prices, alongside the best new car deals and nearly new car deals in Ashton-in-Makerfield. Arnold Clark has a Fiat, Jeep and Chrysler branch in Ashton-in-Makerfield - with further Vauxhall, Kia, Chevrolet, Renault, Dacia and Used Car Centre branches all within the Greater Manchester area. All of our dealerships provide car servicing in Ashton and across the Wigan and St. Helens areas this includes manufacturer approved servicing, fixed price servicing and MOTs. Four branches within five miles of Ashton-in-Makerfield. Ashton Fiat, Jeep and Chrysler with stock of over 200 used cars and access to over 15,000 vehicles within the group stock. 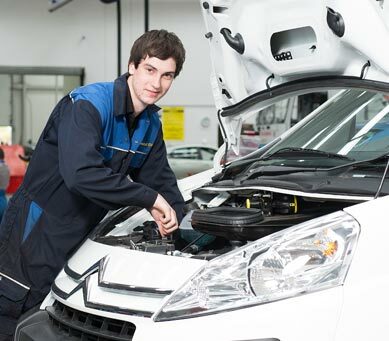 Every dealership has a vehicle servicing department. At Arnold Clark Service Centres we invest millions of pounds every year in staff, training, equipment and facilities to ensure no one is better placed to offer you and your vehicle the highest level of Aftersales care in Ashton-in-Makerfield.